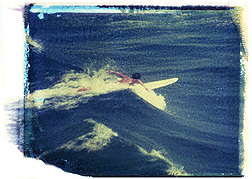 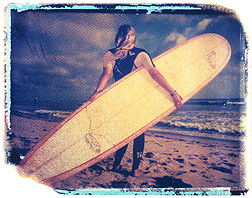 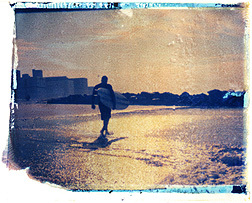 Matt Schwartz, of she hit pause studios, uses Polaroids to capture surfing in a unique, storytelling way. 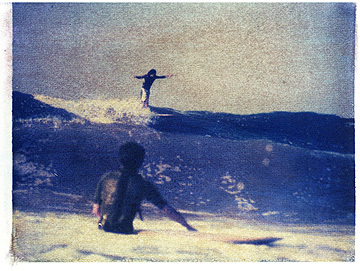 His process is called Polaroid transfer. 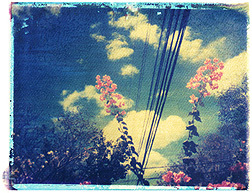 Matt takes pictures using a Polaroid camera, pulls apart the film and then rubs the negative onto watercolor paper. 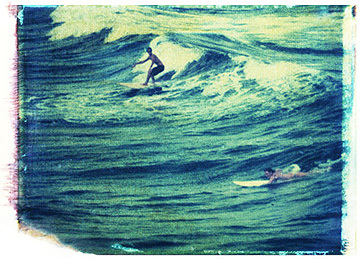 The result is a cross between a vintage photograph and a painting. 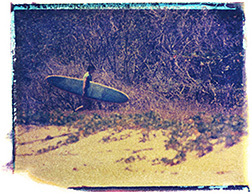 In June of 2009 he released a timeless series of images from recent trips to Ecuador and Costa Rica. 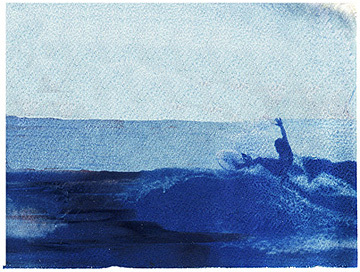 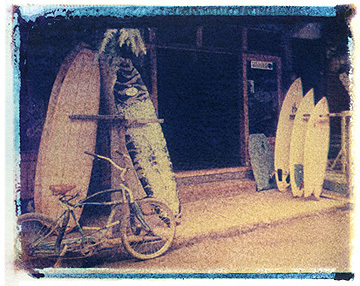 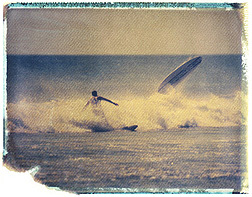 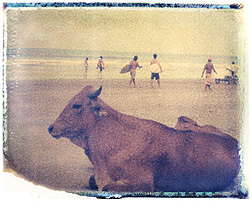 His images speak of the gloried past of surfing with a modern touch.